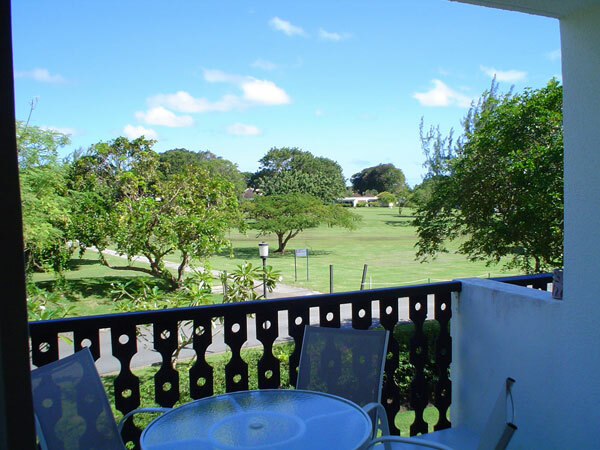 This lovely 1 bedroom apartment located on the upper storey in the Lemon Arbour Complex of Rockley Resort has both a balcony and a large patio. 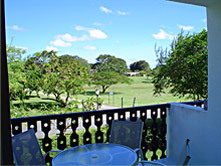 The balcony, which leads off the lounge faces east and overlooks the golf course. 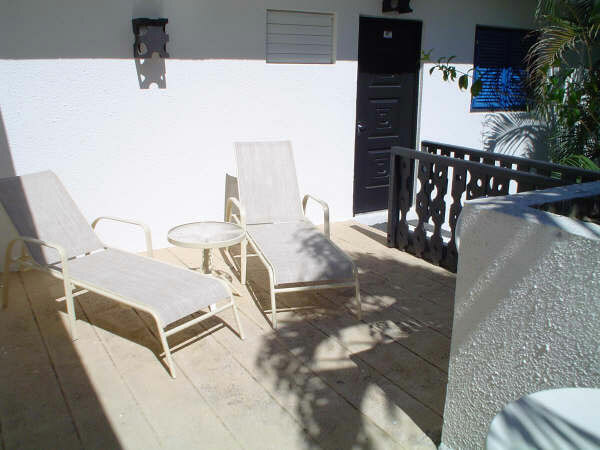 It is furnished with a table and 4 chairs and is ideal to enjoy breakfast in the early morning sun. 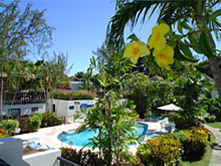 The large patio, which leads from the front of the apartment faces west and overlooks the cluster pool. 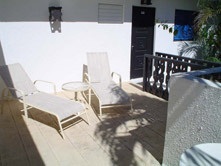 It is furnished with 2 sun loungers so is ideal to enjoy sun bathing in the afternoon. These private outdoor areas ensure that you have adequate relaxing and entertainment areas to just simply chill out in the day and evening. 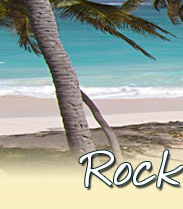 The atmosphere and cool tropical breezes of the evenings can be truly appreciated relaxing in either of these areas. 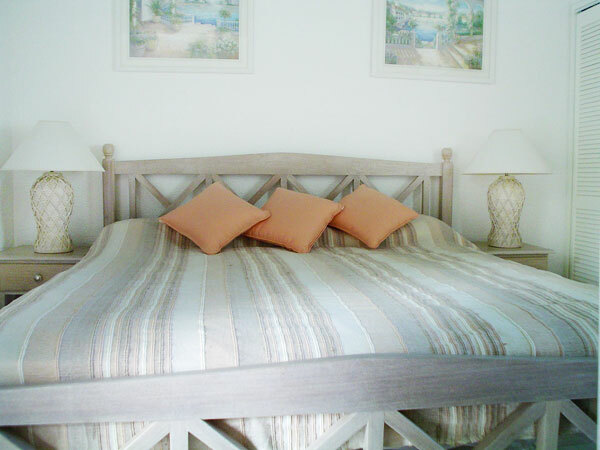 This fully contained one bedroom is very beautifully furnished and decorated with cool colours..In the living room there is a double sofa bed to accommodate extra persons. 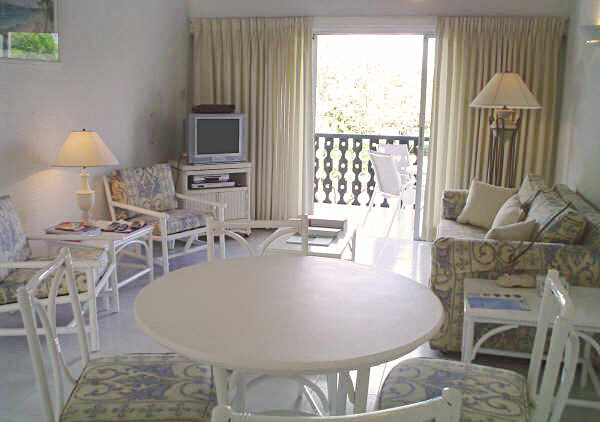 There is also a dining area with a table and 4 chairs. 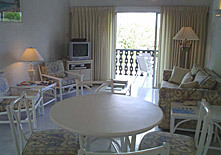 The television is complimented with DVD/VCR and satellite reception. Free wireless/wifi is available, a laptop safe is also fitted. 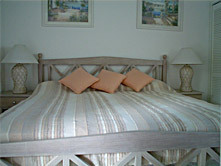 The bedroom is furnished with king sized bed along with bedside tables and lamps. There is a dresser table with mirror and matching chest of drawers for clothing. Further storage is available in the built in double wardrobe. There is also a hairdryer provided. 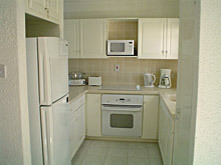 The kitchen is beautifully decorated and fully equipped with modern appliances. 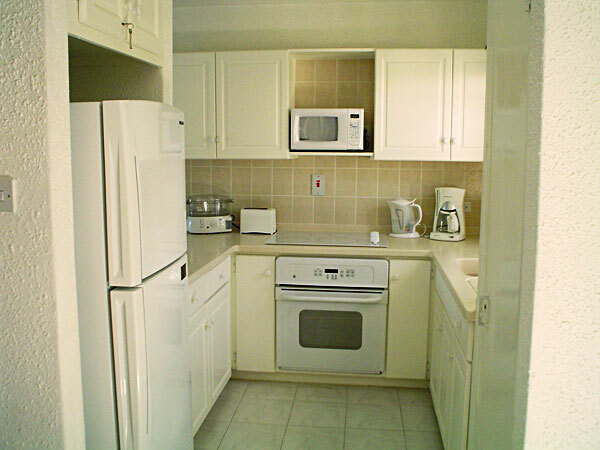 These include dual oven/hob and microwave oven. 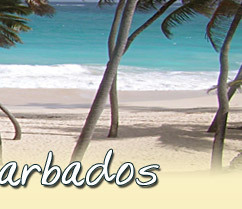 The full inventory of crockery/cutlery and pans are complimented with electric kettle, steamer, toaster, mixer etc. From the kitchen window you also have a view of the cluster pool. The bathroom has a bath with built in shower along with toilet and vanity wash basin. There is an electric point for shaver/toothbrush. 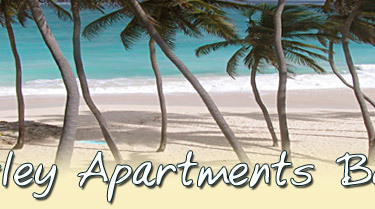 Both bath and beach towels are provided. 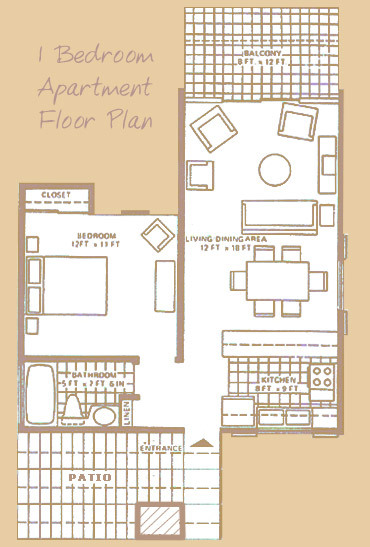 The apartment is also equipped with an ironing board and iron, with laundry facilities in the cluster, which houses three washing machines and three tumble driers. The bedroom has air conditioning and the lounge has a ceiling fan.